The goal of the People in my Life project is to leverage the potential of tangible interaction on tablet computers to gather more information in the process of building an eco-map. 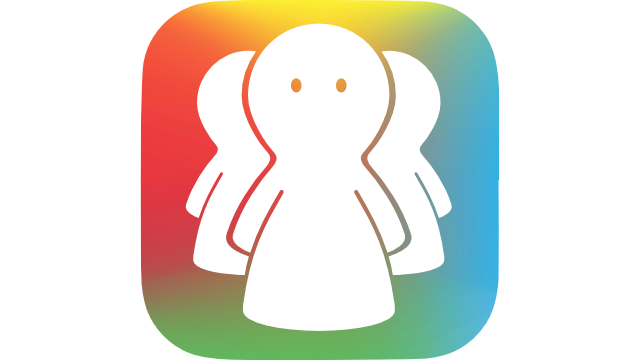 To be able to use the app, you need a set of three tangibles. 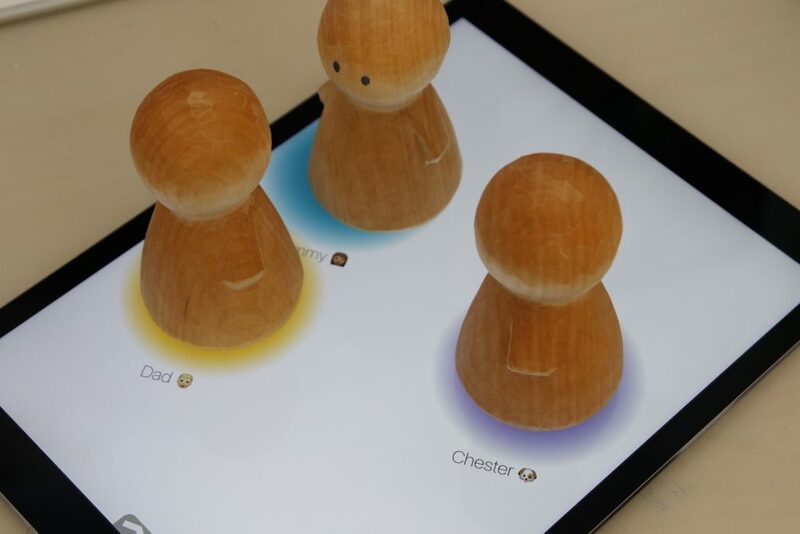 For our project we had some beautifully handcrafted versions made of wood, but a 3D-printed figurine is as fit as any other construction that has a minimum weight of 50g (in order to reliably create touch signals on the screen) and a base diameter of 50mm. A 10mm ring of copper tape with an outer diameter of 50mm and an inner diameter of 30mm. After launching a session, the App records what happens on screen, including placement of the tangibles on screen, movement of the tangibles, assigned name and color, and if required a parallel audio recording. This data is recorded to assist in a later analysis of the session. 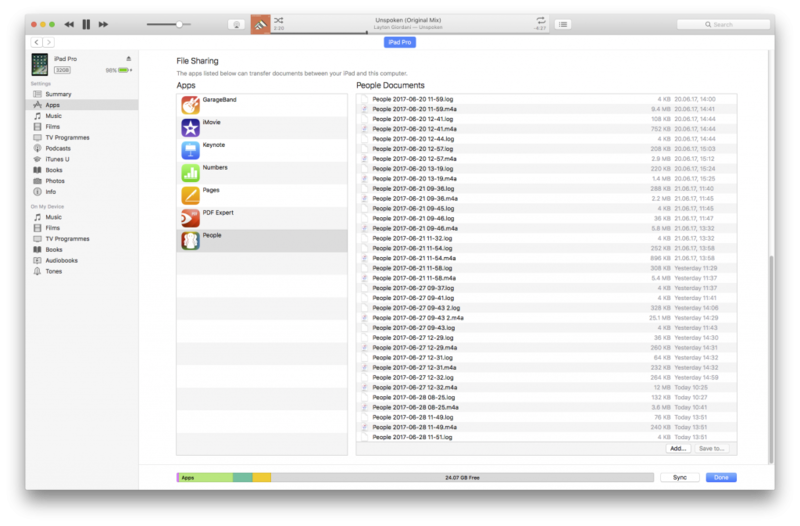 To retrieve the log-files from the tablet, please use the File Sharing feature in iTunes once the iPad is connected to your computer. The log-files are simple CSV-Files which can be imported for further processing in the application of your liking. They contain a header line with the column names. The first column contains the ID of the tangible that caused this event. the ID 127 is reserved for system-wide information, like the start or end of a session, or the name of a session. Tangible-related events mostly concern their presence on screen (Tangible down, moved, up), but there are also events when a tangible gets its name and color assigned for the first time. The People in my Life project is a collaboration between Hasselt University, the University of Sussex, and the Freie Universität Berlin. It is funded by the Jacobs Foundation. F. Heller, J. Schöning, L. F. Meleyal, S. Nolas, L. Zeisner, and A. Rauers, “Who Are the People in My Life? Towards Tangible Eco-maps,” in Proceedings of the 2016 ACM International Joint Conference on Pervasive and Ubiquitous Computing: Adjunct, New York, NY, USA, 2016, p. 81–84.